Have 2 growing boys who are inolved in sports. Would like a comfortable vehicle big enough to have a friend ride with them and to be able to stow away their sports equipment. Have a 2007 Kia Rhondo now that I love but has over 100,000 miles and I fear will have some major issues in the short term. First of all, I would say that your 07 Rondo still probably has a fair bit of life left, unless you know of a specific problem. If you look at the repair data on this site, the 07-10 Rondos are all in the 44-70 repairs per 100 vehicles per year territory, and not many of the reported repairs are super expensive; sensors, steering components, brake components; the usual suspects. You'll be able to keep driving the Rondo for less money per year than even the most reliable $9k car you could replace it with; at least for a few more years. 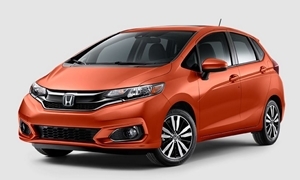 If you do go the "replace" route, the Honda Fit is a smaller car than the Rondo with good interior space. If it fits your people+stuff, it will be your most economical option. 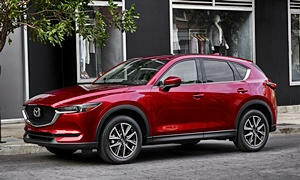 Vehicles similar to the Rondo that you might want to consider would be the Mazda CX-5, the Mazda 5, Honda CR-V or Toyota Rav 4. Another Rondo isn't a terrible idea either if you like it. @mwcten. I am looking for a car to purchase and I need the third row. I found a 2015 Mitsubishi Outlander for 15k. The first thing I am looking to my next car is a the third row and the reliability and as I do not know about mitsubishi outlander I'd really appreciate your thoughts about it. I don't have first hand experience with them. That is cheap, and they are significantly cheaper than the equivalent honda/toyota, even Kia/Hyundai's for the same year/milage. I've heard bad things about their interiors and ride quality. But if you're OK with the test drive, they're supposed to be reasonably reliable, so maybe it meets your needs? It might be worth considering what Toyota or Honda you can get for the same $, though. You might like an '11 Sienna better than the '15 Outlander. @Chrispope. I've sat in an Outlander at an Auto Show and I didn't like it at all. Cheap interior, the whole car feels like it was from the mid 2000s, and the only good things I've heard about are the 100,000 mile powertrain warranty. I don't even see Mitsubishi's future in America. If you absolutely need an SUV with 3 rows and not the size of a midsize, go with a Nissan Rogue, although it isn't as reliable. 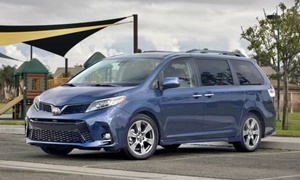 I agree with mwcten, get a minivan. 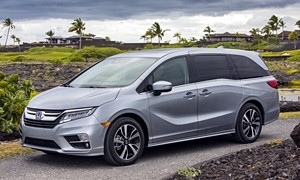 Honda Odyssey or Toyota Sienna. 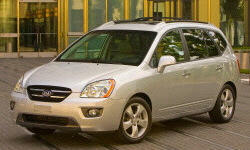 I have been told by a friend of mine he had a Hyundai Veracruz 2009. Any thoughts/experiences? You need to do the math. You are budgeting $9000 for car BUT you have to compare it to the cost of the over-100k maintenance if you current car is otherwise fine. If your engine is good (not using oil) and your transmission is good (not losing fluid or having problems shifting) and the body is not having serious rust problems that will make it fall apart in the next 4 or 5 years, you need to get the car, get prices for doing these things. $2000 or so to keep the car going for another 4-5 or more years is way way better than $9000 to buy something with 50,000-80,000 miles which will just need that stuff anyhow in 3 years +/-. 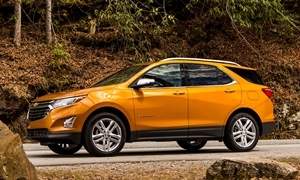 Plethora of CUVs to choose from under $9,000. 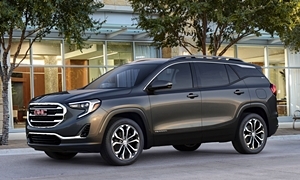 The GM 2.4l is probably $1,000 and a transmission is up to $2,000 for the Terrain or Equinox and could be on the road until it rusts out.